With the start of March, comes the hope for Spring, and the busyness of Spring activities just around the corner! This months Monthly Meal Planner is full of ideas that are quick and easy, or help you stock your freezer for a quick and easy meal as you gear up for spring practices, spring plantings, and all of the other things that keep you on the go! Baked boneless skinless chicken smothered in bbq sauce, topped with cheddar cheese and crispy bacon! this classic recipe will please everyone in your family! 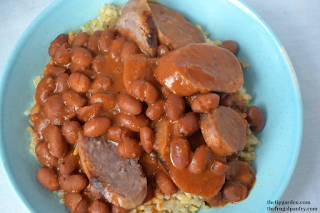 This shortcut version of a slow cooked southern classic will put sausage, kielbasa or brats and saucy red beans on your table served over a bed of rice in just no time at all, but with the taste of a slow cooked meal! This family favorite uses leftover Spaghetti Sauce (meat and all!) It's a perfect leftovers night, and no complaints will come your way!, toast them under the broiler to make them all melty, in just moments you have dinner served and belly's full! 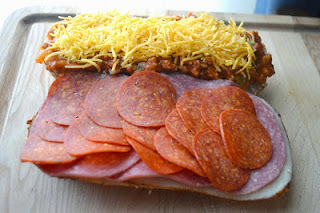 You can make these and store in the freezer also for a quick meal to pop in the oven! Just wrap in some foil ,and then heat till warm! 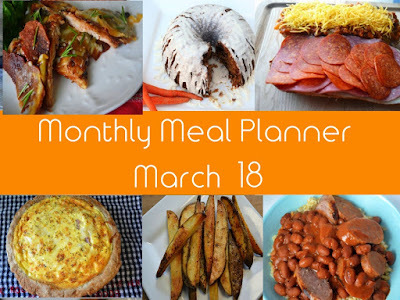 This can be a breakfast, lunch/ brunch, or light dinner! It's also a perfect freezer meal! Use leftover ham from the upcoming Easter holiday, or dice up some deli ham! I use swiss cheese, but I also grab whatever cheese I have on hand also! I love that i can have a quiche (either in a bag ready to thaw and dump in a crust or in a crust prepared ) in the freezer ready to bake at any time, because, we all seem to have eggs, ham and cheese in our fridge, why not have this moist, flavorful quiche ready to go for a light meal? I always keep a bag of homemade frozen french fries or wedges in my freezer! I love that I know what ingredients are in them! I also love making Sweet Potato Fries too! Let me teach you the trick to perfectly cooked, crispy french fries and how to freeze them, and bake them off for an easy, tasty side dish your family will love! My husband's Nana made the best, most moist carrot cake! and she didn't use cream cheese frosting either ! (I put a glaze on for the photo), but she did make her famous butter rum sauce to pour over each slice.. and I have that recipe for you too! If you haven't tried from scratch carrot cake with butter rum sauce.. well... I insist you do. You may never go back to cream cheese frosting again! Yummy! Looks like a great list. I can't wait to try your Carrot Cake!